This book is dedicated to people who would want to stay in touch with their roots and culture, and understand the stories behind why these dishes exist. 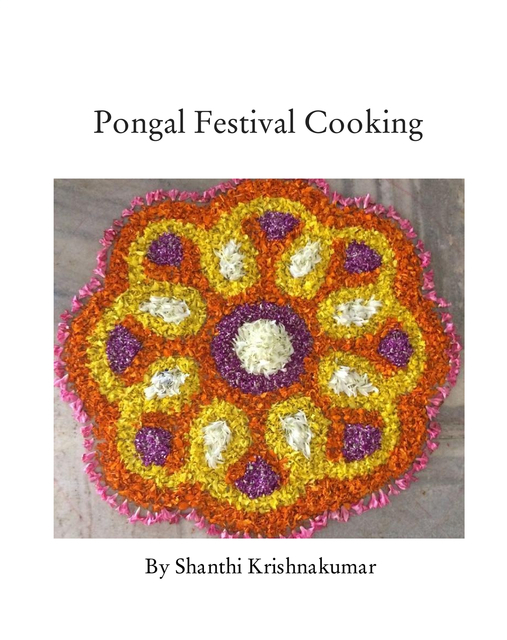 Here, I have focussed on the harvest festival of Pongal and the dishes associated with it. Happy reading, and cooking! Born into a family steeped in tradition and culture, I began cooking at a fairly young age. I am particularly passionate about food that celebrates the spirit of a festival. A few years ago, my son suggested I do something more with my love for cooking. At his insistence, I started a blog and, over time, I began to write about the connection between traditional dishes and festivals. As my readers increased, I realised there were many out there who were interested in adopting these dishes, especially those who had become disconnected from their culture. This book is dedicated to them, and future generations who would want to stay in touch with their roots and culture, and understand the stories behind why these dishes exist. Here, I have focussed on the harvest festival of Pongal and the dishes associated with it. Happy reading, and cooking!